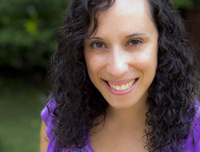 Dania Ramos is an award-winning playwright whose plays have received productions and readings at professional theaters in New Jersey and New York City. As a teaching artist, she's helped children of all backgrounds share their stories through creative writing and theatre. She lives in northeastern New Jersey with her husband. To ask Dania Ramos questions, please sign up. A lovely retelling of a classic Caribbean folktale. La cucarachita Martina yearns for a suitor who recognizes her talents, not just her looks. Vibrant illustrations add to this book's charm. We’d love your help. Let us know what’s wrong with this preview of Three Times Lucky by Sheila Turnage. We’d love your help. Let us know what’s wrong with this preview of Time of the Locust by Morowa Yejide. Engaging main character and intriguing plot. Nicely paced. Novella length is perfect for a plane ride or a beach read.